We have what some have called an unhealthy addiction to the 76-91 Porsche 924, 924S and 944 NA cars. We race 924S cars in ITS in SCCA and SP2 in PCA, and an early 924 in SCCA ITB. The ITS 924S cars are far from competitive, but they handle well and are inexpensive to race – so we go with them. Oh, yea, we have lots of spare parts and lots of experience with these cars, so there is no learning curve involved. We have put together a bunch of spare parts and a bunch of spare cars. We do not use Ebay to sell parts. Instead, we have our own little network of Porsche front-engine 4cyl nut cases to keep us in parts and keep them in parts. We also help each other with technical advice and moral support. We recently put up a Parts Store on this site to list what we have and help those in need get what they need. When we find a car abandoned in a back yard that is well beyond saving, we pick it up and dismantle it – carefully – then catalog the parts so we can find them when we need them. The ones that can be saved are rebuilt to make them daily drivers, and we sell them. We do most of our own work, and when we have to use someone else, we choose wisely. Recently retired from my real job, this is becoming my full-time thing…not a bad situation. Here at 924S944.com, we do not work on customer’s cars – we are not a repair shop. However, we will help you with your own project supplying advice and parts so you can do your own work. You know, the old “teach someone to fish…” thing. Want to be one of us? You can be. Bookmark this page and come back often. Need something? Use the Contact Us form and let us know what you need. Have a question? We may be able to answer it, or provide you with someone who can. Just discovered you via FaceBook. I love the water-cooled Porsches. 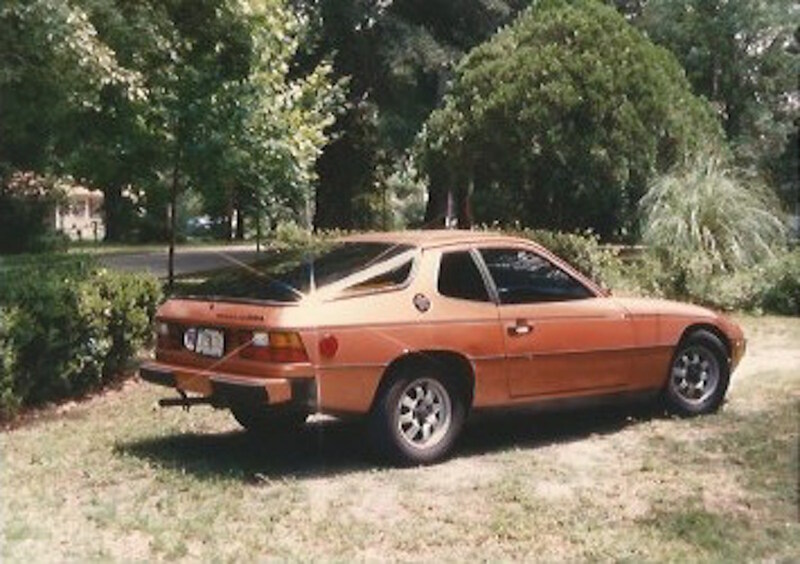 I have owned five Porsches (2 911a and 2 914s) and the early 924 was my favorite along with my 2-litre 914. The balance of the 924 gives imbues it with a stance and grip that simply seems so much more stable, more fun and more comfortable than the 911. I have been contemplating building a 924-944. What do you think of Broadfoot’s engines? Albert builds a great engine. His stuff is always top quality. Be careful, though, on the specs that you build – it is easy to get crazy and go a little overboard with compression, cam, induction, etc. When comparing the 924S/944 to today’s cars, they are underpowered, but they are also small and light. The urge to push the 2.5 NA past 200 HP is very tempting, but you will lose out at the other end – dependability and longevity. What I like most about these cars is that they are easy and fun to drive; in near-stock form, they are dependable and will last almost forever. My first 924 was a ’78 that gave us 250K miles. I had an M030 Club Sport 924S that was well over 200K miles. That said, the WEB cam really wakes up these engines. The tube exhaust that is the stock header is great. Stock induction will get you 25 mpg all day. Try to keep your car as close to “stock” as you can. The cars that are returning the most money today are “as delivered.” The highly-modified cars are not returning the money spent on them. Make your car drive well, make sure that you make everything work as designed (including things like mirrors and dome lights) and just enjoy it. Hello. I purchased a VERY nice 89-944 NA race car from a friend. He owned it for many years trailering it to Road Atlanta, Sebring, Road America among other venues. It ran in the GT2 class so it has working headlights, brake lights and a full interior roll cage. The car was converted to race in 91 so it barely saw any street use. It has never been crashed, bashed or wrecked. Has absolutely no rust, was always garaged and runs, shifts, brakes and drives great to this day. I REALLY like the car, but it is more than a chore to drive on the street!! No power steering, no AC, no turn signals, no wipers and non adjustable racing seats that, quite frankly, make me feel like a prisoner in it after I put on the 5-point! Just opening the door, climbing over the door bars and re-attaching the momo wheel takes 5 mins! The suspension is so stiff that pebbles in the road might as well be 3″ speed bumps. I nearly considered visiting a chiropractor after going over some railroad tracks. My question is this..should I just leave it a race car and sell it to someone whom could use it for why it was built, or convert it back to a street car? I’d probably have to buy a complete parts car to do it, but would it be worth it $$$ wise?? Would I even come close to the dollars spent restoring it when I decided to sell? Thanks for your input and reading my story through! A couple of thoughts – first, depending on what you paid for the car, converting it to “comfortable” street use is going to put money into it that you probably will not get back. It costs a lot to make a race car, and it also costs to bring it back. The 944 has to be on the edge to be competitive in SCCA, and it seems like it could be a competitive car in 944 Cup/SP2 in PCA Club Racing. With all that said, it may be a candidate to back it down a bit and make a street-legal track car that could do the Cars and Coffee – and PCA events – including autocross and HPDE, but still be streetable. It will never be comfortable – but you could take the edge off. Or, sell it on and get a 944 that will meet your own needs.